When one thinks of Southeast Asia, “human rights” isn’t the first term to spring to mind—unless it’s in a negative context. While the ongoing violence against the Rohingya in Myanmar’s Rakhine State is a particularly egregious example of a human rights catastrophe unfolding in the region, there isn’t a single member state of the Association of Southeast Asian Nations (ASEAN) with a decent human rights record. The ASEAN Intergovernmental Commission on Human Rights (AICHR) was established in 2009. 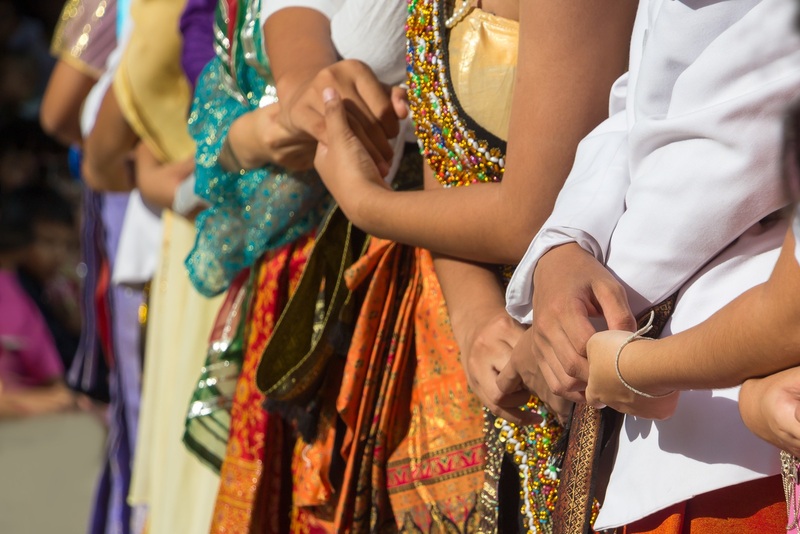 The body, made up of representatives from all 10 member states, has a mandate “[t]o develop strategies for the promotion and protection of human rights and fundamental freedoms” within ASEAN. But AICHR has come under fire throughout its existence for being ineffectual. As the commission approaches its tenth year, representatives to AICHR point to structural challenges—including a cap on funding from ASEAN’s External Dialogue Partners—that leaves it lagging when it comes to protecting human rights in the region. One major obstacle to any sort of significant movement is the consensus system by which AICHR, and the rest of ASEAN, operates. This model of decision-making was originally intended to ensure that all countries are equal, in line with policies of non-interference and respect for national sovereignty. If even one member state doesn’t agree with the agenda, consensus can’t be said to have been achieved. But such a model is now a major hurdle for AICHR, especially since representatives are appointed by the government, with varying levels of independence. “I think that there is a level of government fearfulness on human rights in general; that AICHR, if being too active, will be progressing towards encroaching on some topics that are sensitive to member states… So they appoint either serving, or concurrently serving, or retired, diplomats,” says Dr Seree Nonthasoot, an international law expert who has served as Thailand’s AICHR representative since 2013. Thailand is one of only two countries to have an open selection process for representatives. The other country is Indonesia. While some diplomats or state-affiliated appointees might show themselves to be fairly independent-minded, others could end up focusing more on defending their governments’ interests than actually engaging in difficult discussions. In a context where ASEAN governments are themselves perpetrating or complicit in human rights abuses, the consensus model can quickly become an obstacle instead of a strength. In its 2017 report on AICHR, the Asian Forum for Human Rights and Development (better known as FORUM-ASIA) observed that this practice of allowing any member state to veto decisions has led to “virtual paralysis”. “Instead of finding innovative ways of reaching meaningful decisions, the AICHR opts for the lowest common denominator, the least controversial topics for studies or other activities, and silence in the face of even the most serious human rights violations in the region,” it said. There’s no shortage of human rights issues that urgently require redress in the region. Every country has something to answer for, from extrajudicial killings and enforced disappearances, to clampdowns on civil society and the press. The reality of AICHR requires a calculated approach. As a two-term representative, Dr Seree has developed his own strategy. For the past four years, he’s been working on disability rights. His efforts have borne some fruit: ASEAN is working on an ASEAN Enabling Masterplan that will mainstream the rights of people with disabilities. In an email in response to New Naratif’s questions, Dr Dinna Wisnu, the Indonesian AICHR representative, points to some achievements during her term, which began in 2016: regularising outreach to stakeholders through activities such as the AICHR Youth Debate on Human Rights, and giving 28 civil society organisations consultative status when previously there’d been none. Such moves have allowed AICHR to do more promotional work in relation to human rights, engaging activists, advocates and young Southeast Asians. Still, these activities come across as woefully inadequate given the scale and urgency of the problem. 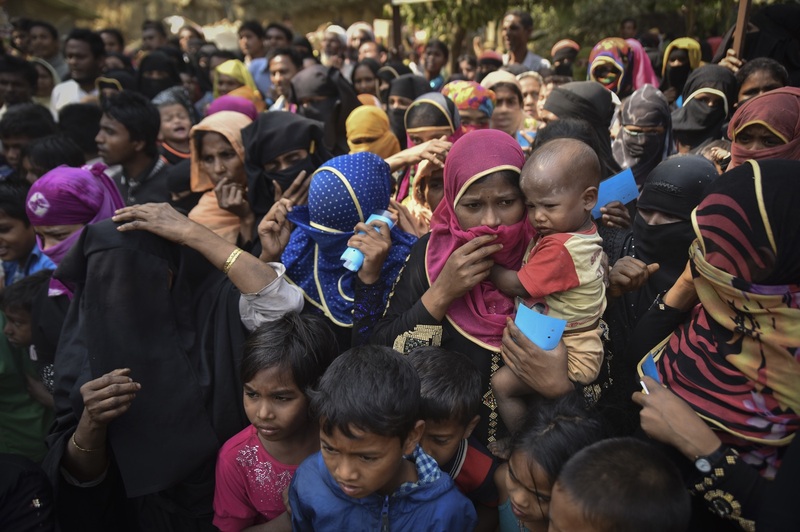 It’s been over a year since the latest brutal crackdown on the Rohingya by the Burmese military in Rakhine State, pushing hundreds of thousands of Rohingya refugees across the border to neighbouring Bangladesh. The word “genocide” has been used by human rights organisations, humanitarian groups and even the United Nations. AICHR’s roundtable dialogues and youth debate tournaments don’t even come close to addressing an injustice of such staggering proportions. Representatives eager to start tackling the crisis have been stymied by the consensus model. “I started a discussion in 2013 [when I was first appointed]… but I wasn’t successful because the characters and the attitude of representatives then did not permit us to come to an agreement,” says Dr Seree. “A lot has to do with the chair of ASEAN,” Bon says. The chairmanship of ASEAN cycles through the member-states every year, with deference given to the chair to set the agenda and push for consensus on issues. In 2018, Singapore is the ASEAN chair, taking over from the Philippines. As if there aren’t enough limits on what AICHR can do, additional restrictions could be on the horizon. This year, proposals have been made to cap funding from ASEAN’s External Dialogue Partners for AICHR activities. There’s apparently a concern from some member states that AICHR activities might be subjected to foreign influence, but Bon disagrees with this argument. “When AICHR was formed in 2009, AICHR representatives and member-states were strongly encouraged to tap into External Dialogue Partner funds for human rights work,” he says. Other representatives also have their reservations. “Funding restrictions that some member states are campaigning [for] and [which] became centre stage [at] meetings during the AICHR Singapore chairmanship has hampered the approval of AICHR Programme Activities of 2019,” writes Dr Dinna. “If it’s implemented as these countries desire… [it] will make implementation of [the] AICHR Programme Activities tougher, taking lengthier time, possibly delaying help also for those in need of support from AICHR as the overarching ASEAN human rights body,” she adds. Herrera-Lim hopes that AICHR can “focus more on developing binding norms within the region towards the protection and promotion of human rights” as it moves forward. “We have to provide the mechanisms and the processes so that ASEAN [can] realise a people-centric and mainstreamed human rights approach in the region,” he says. Moving forward, Bon also urges AICHR to position itself as “the standard setting body of the region”. “We [should] set standards, interpret what the rights in the ASEAN Human Rights Declaration mean, do assessments of how countries have effectively or not effectively realised the rights under the [declaration],” he says. Kirsten Han is Editor-in-Chief of New Naratif, and a Singaporean journalist whose work often revolves around the themes of social justice, human rights, politics and democracy. Her bylines have appeared in publications like The Guardian, Foreign Policy, Asia Times and Waging Nonviolence. As an activist, Kirsten has advocated for an end to the death penalty in Singapore, and is a founding member of abolitionist group We Believe in Second Chances. Reach her at kirsten.han@newnaratif.com. Read all our content and share with your friends for free. Choose your level of support, starting at US$52 for 1 year or US$5 for 1 month to access all content. All members are treated equally, regardless of level of support. Get all the latest updates from New Naratif. Newsletters go out every Tuesday. If you enjoyed this article and would like to join our movement to create space for research, conversation, and action in Southeast Asia, please subscribe to New Naratif—it’s just US$52/year (US$1/week)! Don’t worry if you aren’t ready to commit just yet. Try our content and join if you would like more. The implementation of a syariah penal code specifying brutal punishments has thrust Brunei into the international spotlight. With Hollywood celebrities boycotting hotels and condemnation from multiple fronts, it is worth paying attention not only to those who are speaking out, but those who are not. As voting gets underway in Indonesia, Nibras ventures out in Yogyakarta to sketch the sights at polling stations. It's 17 April and Indonesians across the country are heading to the polls. New Naratif's editors in Indonesia are on the ground bringing us the sights and sounds of the 2019 election.